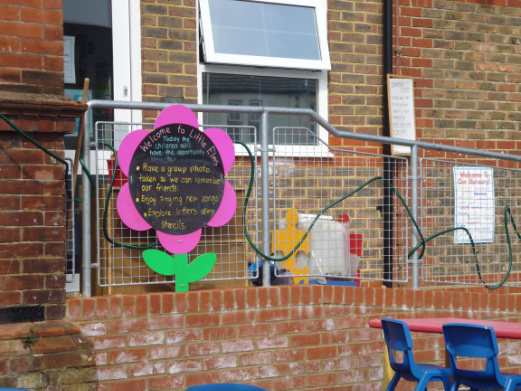 In 2001 we established Elm Grove Childcare Club, a wraparound childcare provision for school aged children, offering breakfast, after school and holiday club care,​ staffed by a team of qualified professional people who specialise in childcare and play work for primary school children. In September 2006 I expanded the business, to open Little Elms nursery, catering for younger children, many of whom were the younger siblings of children attending the after school clubs; thus enabling mums to return to work and have the advantage of having only one drop-off point for all of their children. The nursery manager and myself have always worked very closely with the Head Teacher of Elm Grove First School and it is with this combination of childcare knowledge, experience and our background of working in customer focused environments that we have been able to design the very best childcare service, one which we are confident will exceed your childcare needs.